@renata-carone: Because you are really a rare creature...you are unique, you didn't come to this world without a purpose. @renata-carone: Ignore the critics, respect the media, contract thousands of Paparazzi and put them all around you. Do this.It works . But never forget to be your self and follow your thoughts. Love your self even when times are difficult. @renata-carone: Feed your ambition, practice and strengthen you talent because it is your most powerful weapon. Scare away the envious and negativists. Say something yucky and watch them leave. Anna: never be a conformist knowing that you alone can cause a revolution. Notice what is missing in your career and improve your strategy. Fix the flaws that eventually are opposing against you. Your place is right there on the top where only the privileged people can be. I'm completely addicted to this song ^_^ ! 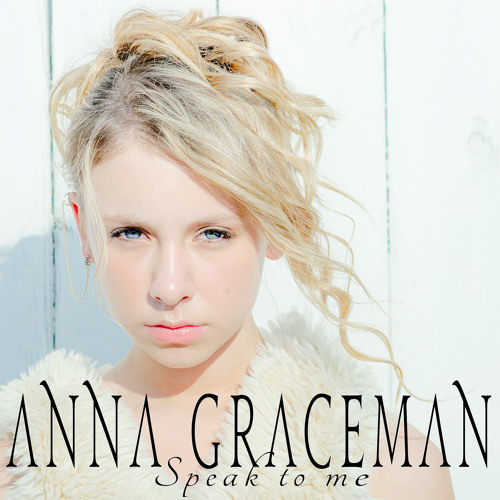 Anna Graceman, You're awesomely talented ! Keep up the good work ! I've listen till the end.....Great !!!!! Anna,,,, loveit loveit loveit loveit.. Sounds good! Keep it up and best wishes from germany! Great voice and song, I enjoyed this! Sweet, tender, beautiful. As someone who also writes songs you inspire me. Your talent continues to grow way beyond your years. You voice is fantastic. Outstanding! I applaud you. God has given you so much TALENT. very cool. Do you do this all on your own?